(I am double posting today because I have to be on location shooting tomorrow.) 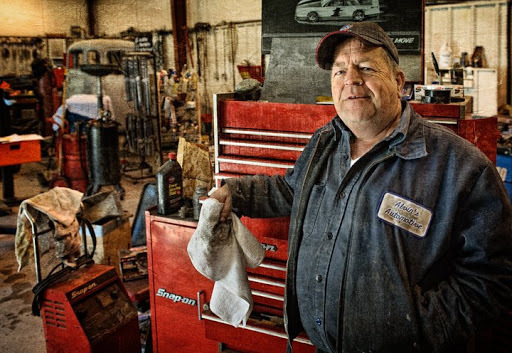 Another local establishment I frequent is Alvin’s Automotive in Grays Chapel, south of Greensboro on Hwy 22. 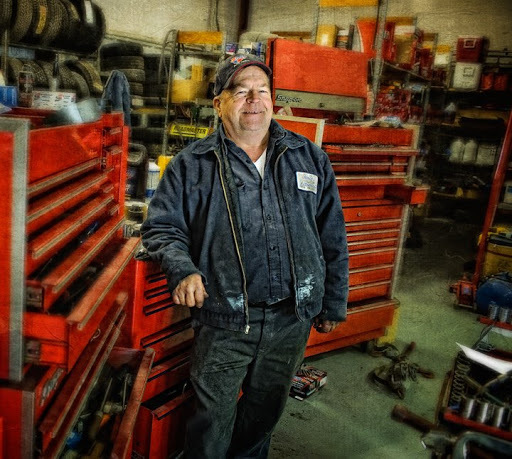 Master mechanic Alvin, who is my cousin’s husband, has somehow managed to keep my family’s and my neighbor’s cars and a lot of our farm equipment going for years. 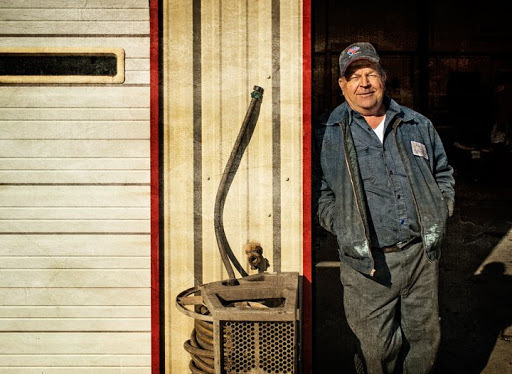 When he’s not fixing our stuff, he spends his time restoring classic cars and trucks and hauling fuel oil. He grows pretty good tomatoes too. 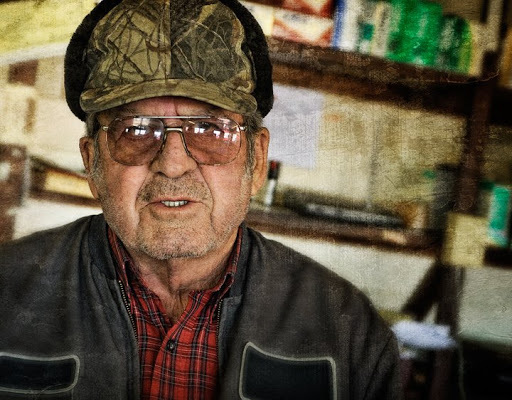 In front of his shop is a store which acts a center for local news, politics and socializing. Harry runs the front and keeps the locals under control. Alvin always keeps a smile on his face … always.